I was looking through my makeup collection and decided to see if I could spot out some dupes in terms of highlighters. I have been absolutely obsessed with highlighters lately, and I have definitely spent a lot of money on highlighters–and apparently duplicates! 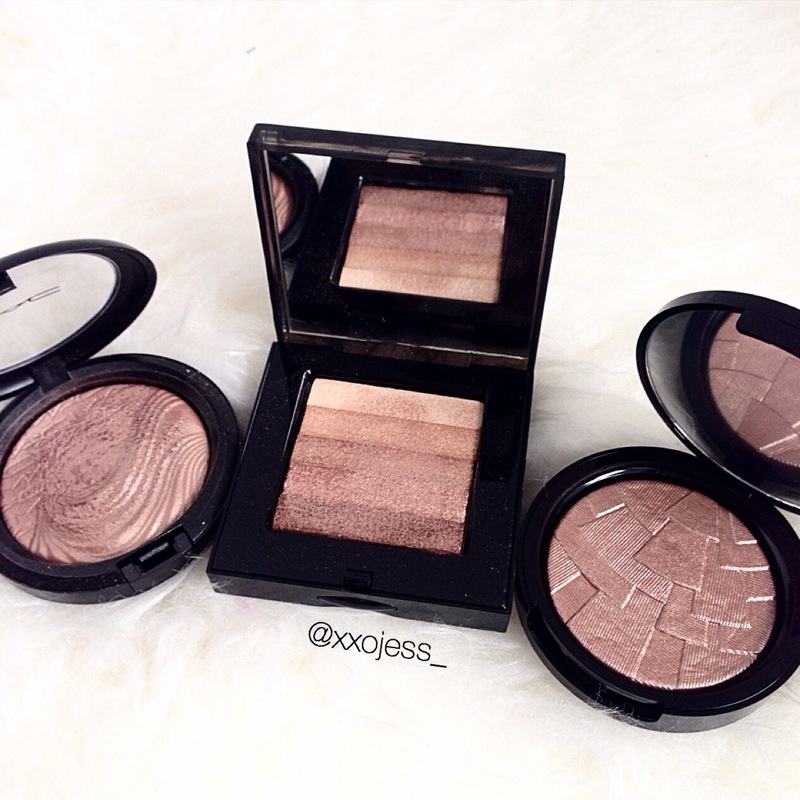 These are two absolutely beautiful highlighters. I usually wear this when I am a bit more tanned, as it is a little bit darker, but during the winter I also like putting this on my cheeks with a matte blush. Be careful though–a little definitely goes a long way! So what is the dupe for these two pricey and limited edition makeup items you ask? 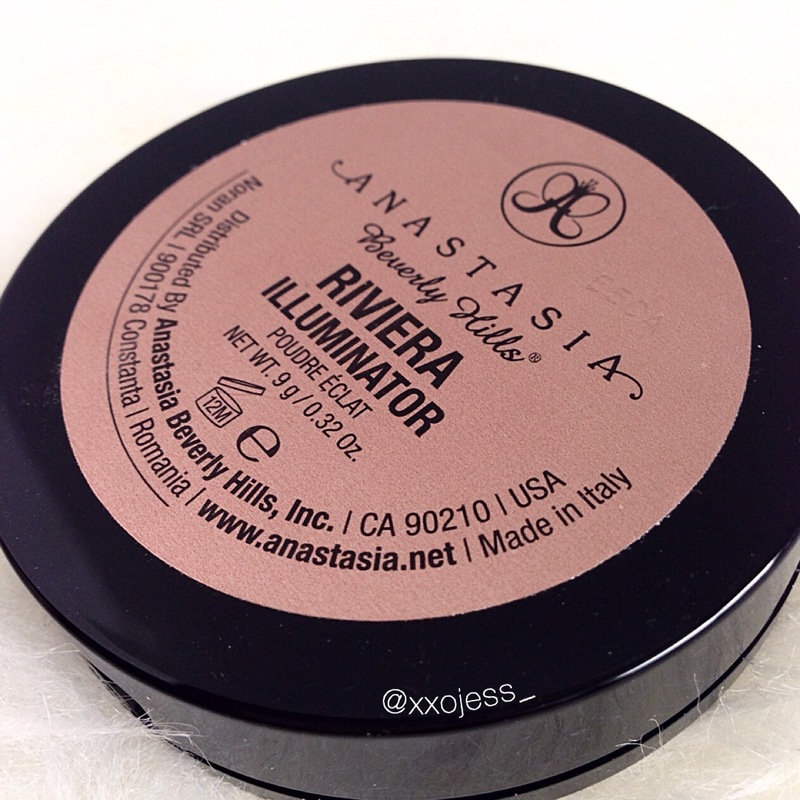 The Anastasia Beverly Hills Illuminator in Riviera ($28.00US) is a great alternative to either of the products mentioned above. It is beautifully decorated on the inside, and it also comes with a mirror in the compact which is quite handy. 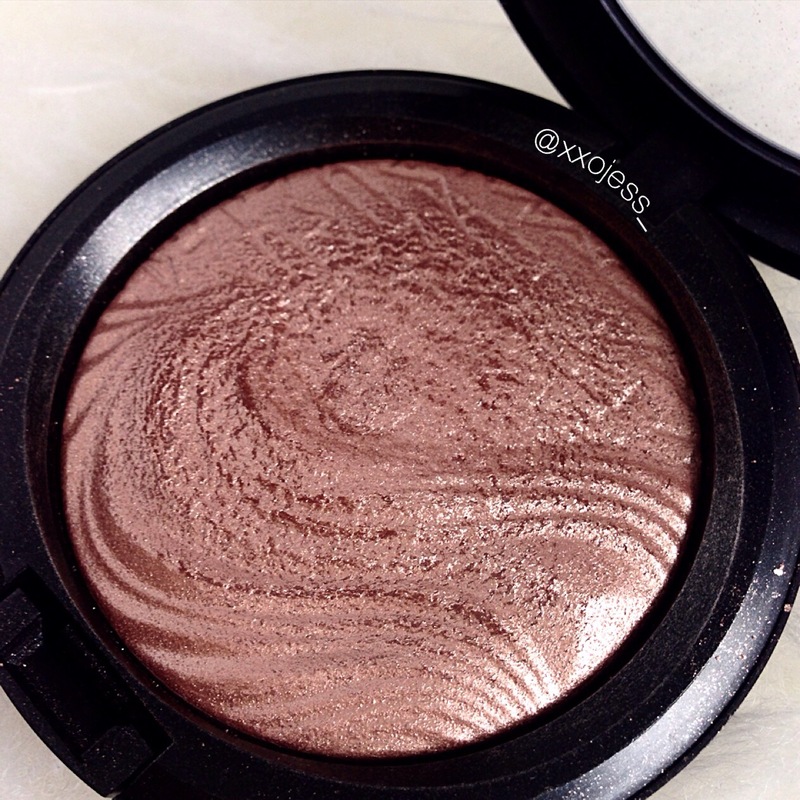 The highlighter definitely gives you a glow within, which I absolutely love. I ordered this online from the Anastasia Beverly Hills website since I live in Canada. Be warned though, the package I ordered had duty fees along with it, so I ended up paying quite a lot more for this product. It is also available at Macy’s in the States, so Canadians may want to save the shipping and pick this up if you ever visit the States–or get someone from the States to send it your way for you. 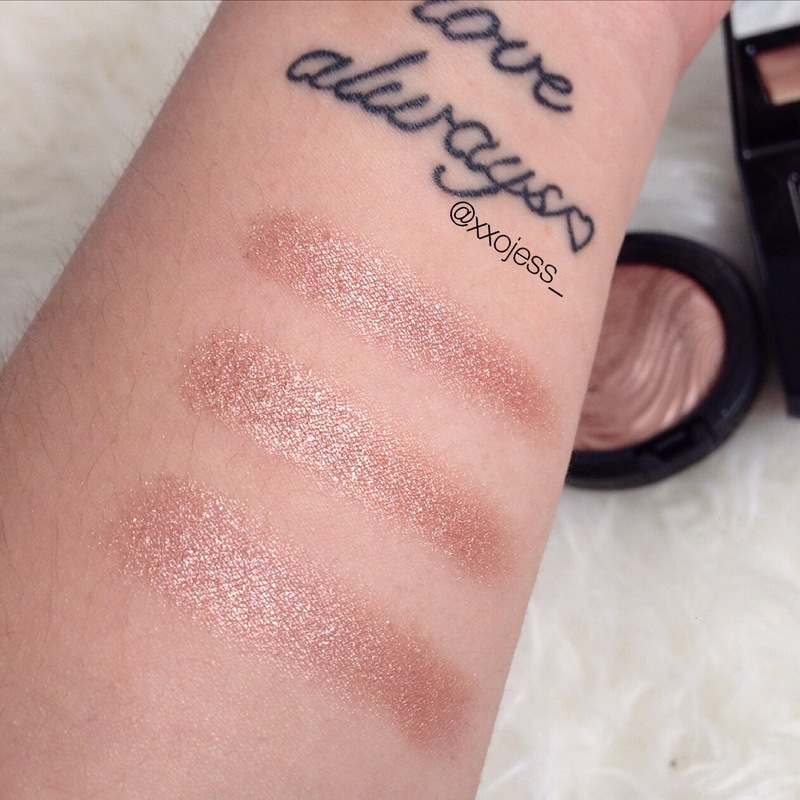 Here are the swatches of the three highlighters…similar huh?